The current results of „LERES“ (LEafletREsearchStudy) show a high usage of Leaflets by Croatian people. More then 50 % use e.g. 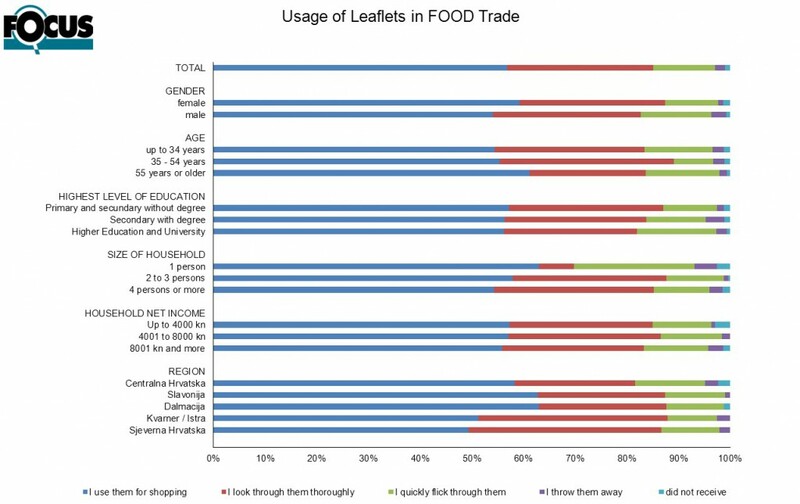 the Food-Leaflets for shopping, about a quarter of the asked respondents look through it thoroughly, while only about 3 % don`t use leafelts at all (see graph).FOCUS analyzed in a very detailed Online-Survey the medium „Leaflet“: usage, likeability, format, content, reach and many, many more.